One of the less pleasant parts of being a cat parent is having to clean up the litter box. It is hard to imagine that such cute, furry babies can create so much of a mess. This is why you need all the help that you can get in making this task just a little easier. If this is something that you are interested in doing, then you should that clumping cat litter is your top go-to option. This kind of litter makes cleaning up after your kitties a lot simpler to manage. As you can imagine, this does depend on the exact brand of litter that you choose for your furry friend though. 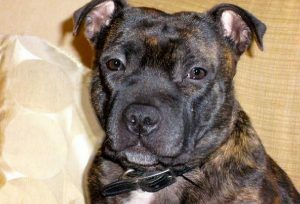 If you aren’t certain exactly what you are looking for, it can be difficult to identify the best clumping cat litters. Fortunately for you, this is where this guide comes in. 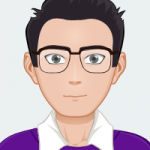 Below, you will be able to learn of all the features that you need to look out for. Furthermore, you will also be able to get a look at the best brands on the market. Clay: this is actually one of the oldest types of cat litter and it continues to be popular today. To make this litter clump better, bentonite is added to the formula. This allows the litter to stick together more easily. Silica: one of the main perks of this material is that it is highly absorbent. To a certain extent, it can also control odor quite well. While this type of litter has many perks, it isn’t suitable for cats that have a tendency to eat their litter. Biodegradable: do you want the option of simply flushing your cat’s litter? Or maybe, you want to select a litter material that is more eco-friendly. If either of these statements is true for you, then biodegradable litters are the way to go. They are made from materials that break down easily and are safe for the environment. It is important to remember that not all clumping litter is equally as effective. This is why you need to select one that is highly absorbent. This way, it will absorb all of the excess liquid, ensuring that harder and more defined clumps are created. In turn, this will make it a lot easier for you to clean your kitty’s litter box. You will discover that most cat litters will produce at least a little dust. Now, for many felines, this isn’t too much of an issue. 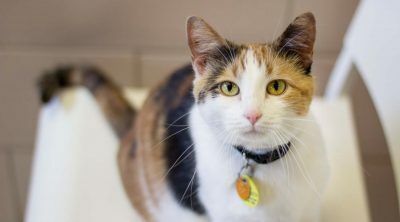 However, if you have a feline with respiratory issues, then you need to take a little more care in looking for a litter that produces as little dust as possible. This can go a long way in keeping your kitty healthy and happy. You have first-hand experience of what a litter box can smell like so odor control is a rather vital feature. In many instances, clumping litter does offer up a bit more odor control than other types of litters. 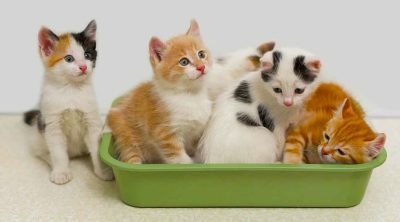 Still, if keeping your cat’s litter box smelling as fresh as possible is a priority, look for litters that can do more. Odor control litters are ones that help to keep the smell to a minimum. Scented litters, however, are equipped with fragrances that can further the mask the smell of your kitty’s litter. For the most part, these litters work quite well to keep unpleasant scents at bay. Still, it may not always be right for your kitty. If your cat has certain sensitivities, then the artificial fragrance may aggravate these. Then, there is also the fact that certain cats don’t like strong or artificial scents. If this proves to be the case for your kitty, scented litter may actually put him or her off of using their litter box. One of the more frustrating parts of having a litter box in your home is finding litter being tracked throughout the house. This happens when the litter particles get stuck to your kitty’s feet and then are carried throughout the home. To reduce the chance of this happening, focus your attention on low tracking cat litters that are sure to stay in the litter box. Last but certainly not least, you should always pay attention to your kitty’s comfort levels when choosing litter. Remember, cats can be rather finicky about feel and texture. So, if they don’t like standing, sitting, or digging up the litter, they may not use the litter box. When making the switch to a new brand, make it a point to monitor your cat’s behavior for a while. If you find that he or she aren’t adjusting to the new litter as you may have hoped, you may want to give another one a try. The secret behind this clumping cat litter is that the particles are derived from plants. Due to this, the litter works to create hardened clumps once your kitty has used his or her box. Thanks to this feature cleaning out the litter box is a much easier job to manage. Another benefit of this litter is that it is highly absorbent as well. The moisture-activated Micro granules are able to former a much better seal around your cat’s waste. As such, it is less likely for the litter to turn to sludge after your cat uses it several times. It is also completely dust-free. So, there is no chance of your kitty inhaling any of the smaller particles. 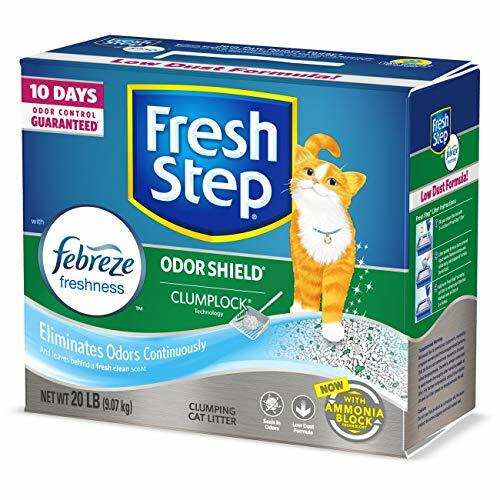 If you want to keep your kitty’s litter as fresh as possible, then this is the perfect litter to turn to. This is because the litter seals in bad odors from the second that your cat uses the litter. Therefore, there is no chance for any bad smells to escape! In fact, you may be able to notice that the litter will stay odor free for up to seven days at a time. The only downside with this litter is that the particles are rather light. As such, there is a greater tendency for them to get stuck to your cat’s paws and be carried around the house. 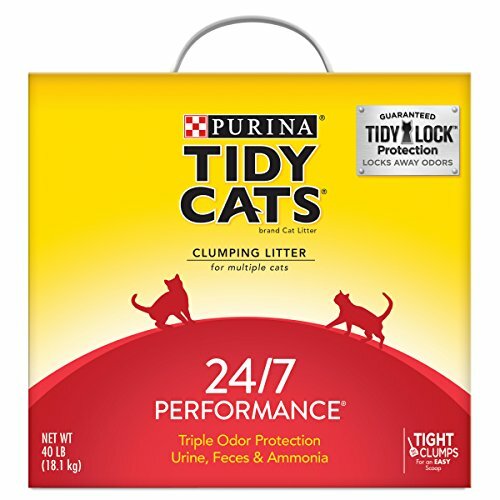 This litter boasts a ClumpLock technology. This works to absorb the liquids in the litter box as quickly as possible. As such, there is no chance for any liquid to escape or pool in the box. All that is left is perfectly formed clumps that are easily picked up when it comes time to clean up the litter box. The only issue with this litter is that the particles are incredibly small. Due to this, they stick to the bottom of your cat’s paws and get deposited around the house. Fortunately, however, this is a low dust litter. So, if your kitty needs to have a dust-free environment, this litter should do the trick. Another thing that you will be able to appreciate regarding this litter is that boasts excellent odor control. The litter contains charcoal that works to trap and any all smells immediately. So, there is absolutely no chance for any unpleasant odors to escape the litter box. On top of this, the litter is scented as well. This means that if you want to leave the litter in a more enclosed space, you can. 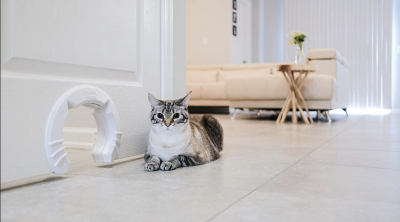 All of these features combined will ensure that your cat’s litter box will be smelling fresher for a much longer period of time. 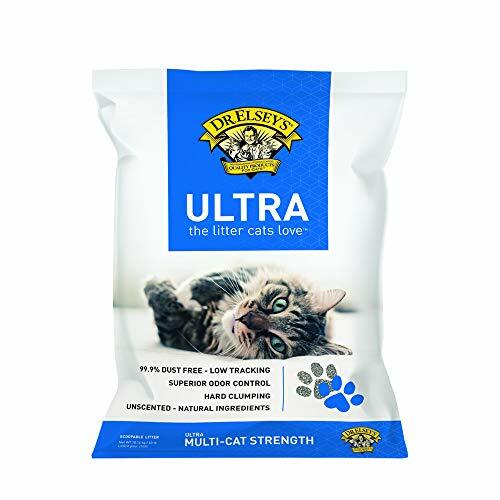 This litter is also quite good at absorbing moisture from your kitty’s waste. Thanks to this feature, the clumping takes place almost as soon as your cat uses the litter box. So, you can be certain that cleaning it out, later on, will be no problem at all. This absorption feature has another advantage as well. 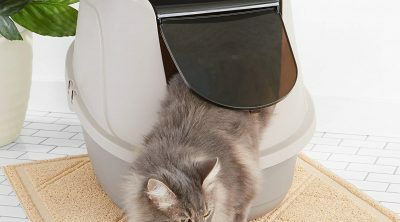 It works to keep the litter box drier so that your kitty feels more comfortable while using it. It should be noted, though, that this litter has a rather strong fragrance to it. So, there is always the chance that some cats may not like it. What is nice about this litter, though, is that it has a function that is known as TidyLock Protection. Here, the litter locks away all strong smells before they are released into the air. 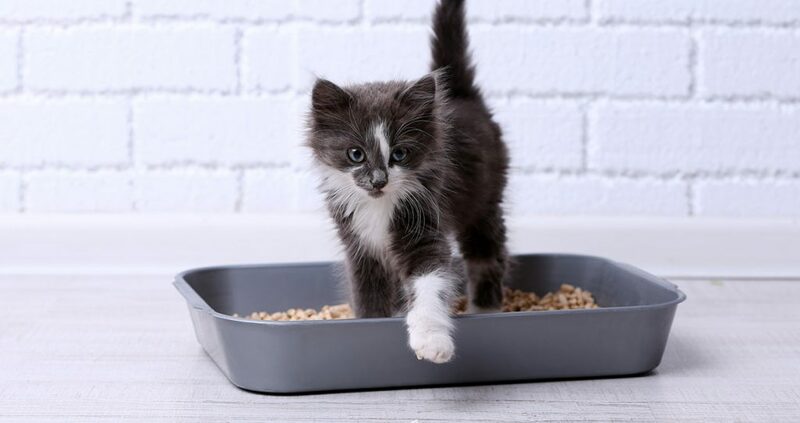 As a result, your kitty’s litter box is able to stay fresher for longer. Since the particles aren’t overly small, you also shouldn’t have too many tracking issues to deal with either. Another benefit is that this litter is also 99.9 percent dust free! So, if you want to make certain that your cat is not inhaling any unnecessary dust, then this is the litter for you. This litter is a mix between traditional litter materials and a medium grain clay. Due to this, the litter works to prevent any liquid from reaching the bottom of the litter pan. 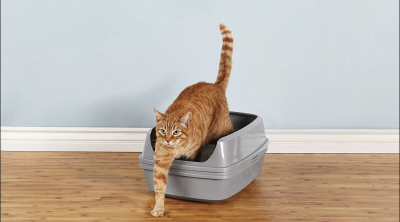 Now, this feature does more than just help to keep the litter box a little cleaner. It is also this absorptive element that allows the litter to clump so well too. 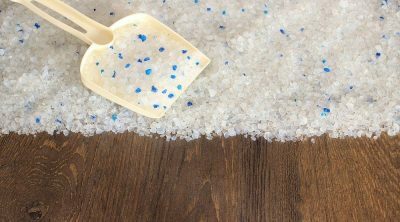 Since the moisture is absorbed more quickly, the litter forms clumps sooner rather than later. Thus, when cleaning out the little box, you should be able to do so quickly and easily. Another thing to like about this litter is that it is all natural and completely hypoallergenic. So, if you have a kitty with any sensitivities or allergies, then there is nothing to worry about. He or she will be able to use their litter box without any issue at all. The texture of the kitty litter is also excellent for preventing tracking. The grains are just a little too big and heavy to get caught to your cat’s paws. The main problem with this litter, though, is that it doesn’t do much in the way of odor control. So, you may need to clean your kitty’s litter box more often than usual. One of the biggest benefits of using this clumping cat litter is the fact that it works so quickly. The clumping takes place the second that your kitty has used the litter box. Due to this, there is much less mess to deal with. As a whole, the cleanup process is a lot easier to handle. If this wasn’t enough, this litter can also be flushed. So, you don’t have to worry about finding a place to safely throw away your kitty’s waste anymore. This doesn’t just make the clean-up simpler for you, it also makes it a great deal more hygienic as well. The litter also works reasonably well to keep the odor at bay as well. As long as you clean out the litter box in a timely manner, you will be able to keep the surrounding area incredibly clean and fresh. This is especially good news for smaller households. It should be noted that this formula is rather lightweight. As such, it may get stuck to the bottom of your cat’s paws more easily. On the plus side, despite the size, the litter is dust-free. So, it works well for kitty’s who have breathing issues or any other kind of allergies. 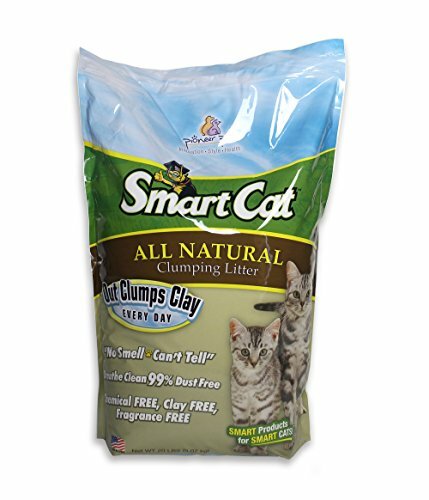 Interestingly enough, this clumping litter is made from grass rather than clay. The result is a lightweight litter that is able to work just as well as any other kind of material. 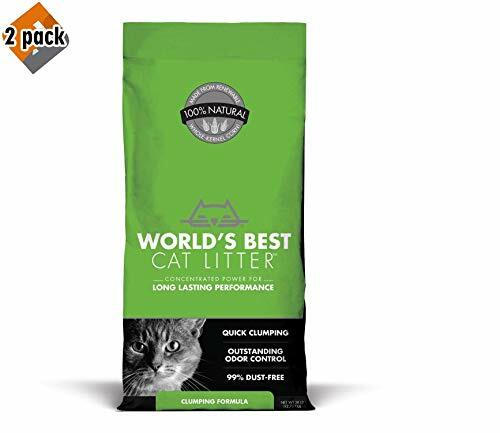 So, if your cat has certain sensitivities towards clay or other litter materials, this may be the perfect option for them. Certainly, the most impressive aspect of this litter is that it boasts incredible clumping capabilities! This is because the litter works to absorb the moisture incredibly quickly. So, the litter is able to form hard clumps around the waste, making it easy to pick up at a later time. It is also this quick absorption rate that works to keep unpleasant smells at bay. Since all of the smelly elements are absorbed quickly, they aren’t released into the air. This makes for a much fresher environment. Speaking of which, this litter has a low dust feature. Therefore, there is no issue when pouring the litter or sifting it out. Perhaps the main issue with this litter is that it can be tracked around the house. This is largely to do with the fact that the particles are light and can be easily lifted out of the tray. In the end, each of these clumping cat litters is excellent and all do exactly as they claim. 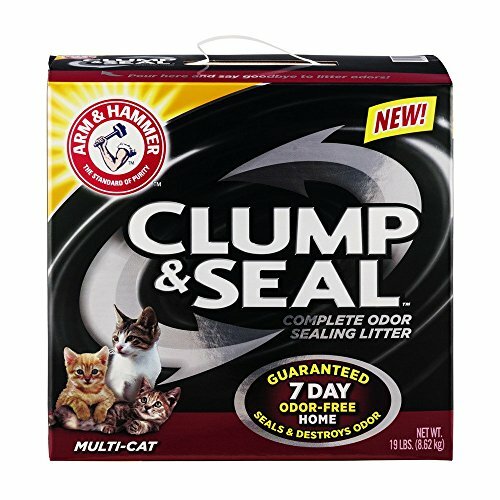 However, if you had to single out a winner, you will have the best experience with the Arm & Hammer clumping cat litter. It is incredible at absorbing liquid in the litter box and forming clumps that can easily be removed. As an additional bonus, it also works well to get rid of any unpleasant odors. These are the main things to best aware of when shopping around for the best clumping cat litter. Now that you know what you need to look for, you should be able to easily select a product that is ideal for your cat and your household.